As The Specials gear up for what appears to be the final tour of their current reunion, the band have been enjoying some much deserved down time. 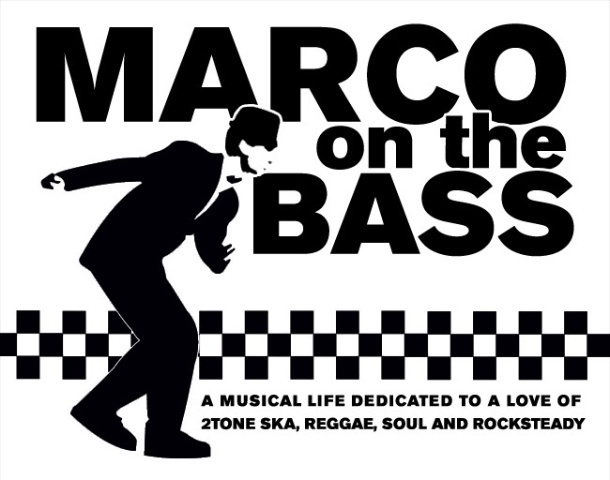 One member of the band who has been making the most of his free time ahead of the band's ambitious 2011 tour, which kicks off in Europe in June, has been bassist Horace Panter. 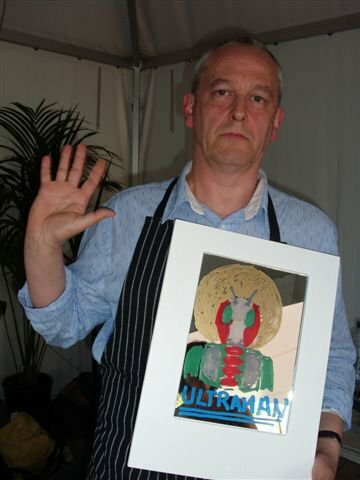 Known for his incredibly inventive bass lines which define many of The Specials most iconic songs (think 'Ghost Town, Nite Klub, Do The Dog) and as the author of 'Ska'd For Life' which chronicled his experiences in The Specials, Panter is also an accomplished fine artist and has just launched a fantastic web site, Horace Panter Art, to highlight, publicize and sell his work. The roots of The Specials are many faceted, but really begin at Coventry's Lanchester Polytechnic where Panter graduated with a degree in Fine Art, and where he met fellow art student and band founder Jerry Dammers . Although most of Panter's career has been defined by his involvement in music, art has always been an equally defining part of his life. Being on tour with The Specials (and later General Public) afforded Panter the opportunity to visit local art galleries around the world, where he found inspiration for his own work. His distinctive style is something that he has developed over many years and his influences are eclectic and reflected in his very colorful work. He labels his style as ‘appropriation and subversion’, often merging images and styles into one painting. See the 'Robot At The Beach' above which Panter describes as 'The robots meet Henry Rousseauʼs jungle ... at the beach. An art version of King Tubby meets the Rockers Uptown! 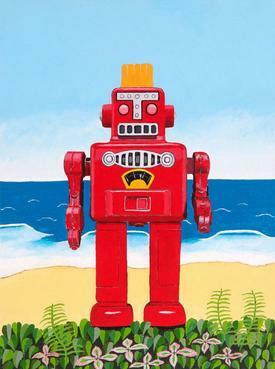 All the different elements (robot, foliage and sea) seem to work together. In the years before The Specials recent reunion, Panter worked as an art teacher at a specials needs school in Coventry. There was a great story about him and the work he did with his students in The Guardian from February of 2009 that is well worth the read. It gives you a real sense about Panter's approach to art as well as his very varied life outside the band. Panter was kind enough to answer a few questions for me about his art background and his own artistic inspirations. Tell me a bit about your art background outside of The Specials? Consequently, art has always been a big part of my 'creative side'. When we'd get into New York, everyone else would go to the hotel bar, but I'd go to MOMA. I spent 10 years as an art teacher at a special needs school in Coventry before the Specials reformed and I continued to visit UK art shows and paint. What inspires your style and what inspired you to launch Horace Panter Art? The originals are painted in acrylics on wooden panels and the prints are done using the 'giclee' process, which means they ain't just photocopies. It's something that I hope will occupy my time for the next 20 or so years, along with playing bass guitar of course. There are currently 16 limited edition prints available for sale on the web site. They are all signed and numbered so buyers can be assured they are receiving a genuine product. Panter will also be adding a selection of merchandise including organic t-shirts and canvas bags. Visit Horace Panter Art to see the prints or purchase one and visit Panter's Facebook page to stay updated about his ongoing works in progress.